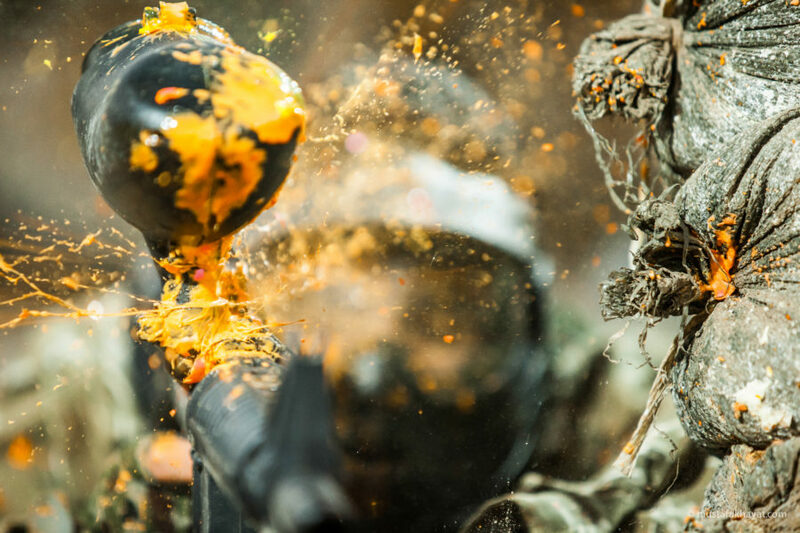 A paintball explodes during a field battle. Image by Mustafa Khayat/Flickr, Some Rights Reserved. The gun I learned to shoot with was an ancient, single-shot rifle. My mother learned to shoot with it, and her father before her. I plan to teach my child, if I ever have one, to shoot with that same rifle. My parents taught me to safely shoot. It was part of being on the land. The crack of cartridges was of a piece with the wind blowing through the pecan trees. This is how I grew up, and it’s how many of us in the country grew up. Growing up, every friend of mine except one kept guns in his or their homes. For some, these guns put food on the table. Many of these families, like mine, used the hobby of guns as a way to teach discipline and responsibility. One of my friends tells the story of how, when his family went shooting, if he or his sisters mistreated a gun even once, the trip was over. As I came into that awkward power we have in youth, I recognized the awful power of those firearms in a way I hadn’t before. 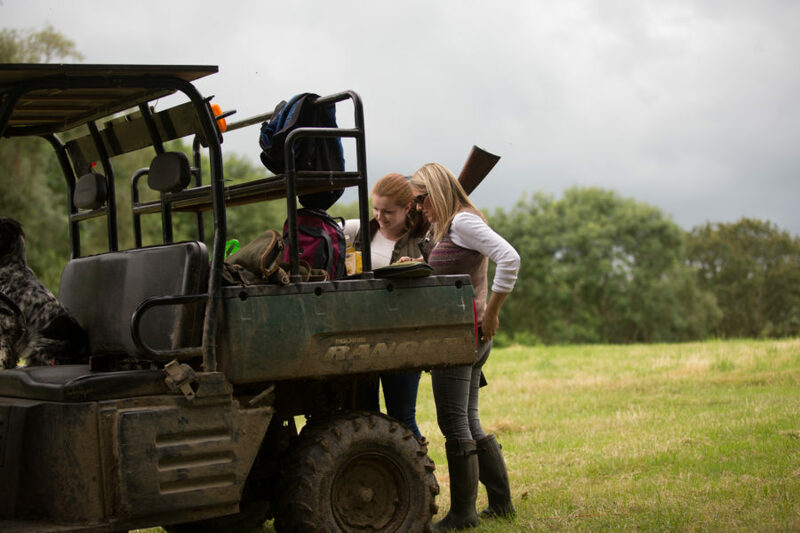 In my hands was a pump-action twelve-gauge capable of killing anything that lived on that farm. Maybe it was a totem for the inner strength I wished I could wield in confidence. Those guns carried the possibility — even if my thoughts only barely glanced at it — of murder or suicide. One day, when I was a teenager, a stranger pulled into our drive and fired eight or ten rounds from a rifle into the air. Grabbing my shotgun, I loaded it and took cover behind a brick wall where I thought it might make a difference. I called out to the stranger. I believe he laughed. In that moment, adrenaline sharpened my mind beyond morality to only two questions: whether this man was indeed an enemy, and how I might line up a shot through the garage. Before I could answer either of these, my father walked out of the back door beside me. He spoke to the man. My father had arranged to buy the rifle from the stranger. The situation was over. Later that evening we shot tracer rounds in glowing patterns from the same rifle. Image by Tom Hart/Flickr, Some Rights Reserved. I watched the coverage of the Columbine shooting in a classroom the year before I started high school. The shooting at Virginia Tech happened during my college years. Where I lived, a man enraged by “liberals” stormed a Unitarian Universalist Church’s production of Annie with a shotgun. Sandy Hook happened while I was in grad school. The Aurora theater shooting happened a few years before I moved there. As I wrote this first draft, the shooting at Emanuel African Episcopal Church in Charleston seemed all the worse for situating its violence in a bastion of love, support, progress, and endured history. While I revised this commentary, another angry white man shot people at a Planned Parenthood in Colorado. We walk around under the weight of these tragedies like the lead-cowled prisoners of Dante’s hell. I read in Walter Wink of the myth of redemptive violence, which states that violence, and only violence, can solve the problem of suffering. I began to see how much I believed in that myth. It was in the culture all around me, from our country’s foreign policy to the sort of Southern honor my high school peers believed in, not to mention the movies I watched, the novels I read, and the games I played. The problem of the myth is that belief in violence blinds us to all other possibilities, which include forgiveness, reconciliation, a social contract, and democracy. I came to believe that real courage involved finding ways not to harm. It meant facing evil acts while forgiving the perpetrators. It meant picking up the pieces of my broken heart, joining with others and, to paraphrase Mother Jones, praying for the dead and fighting like hell for the living. This fight means laws to keep guns out of the hands of those who have demonstrated their own violence. But the fight must go deeper: we must imagine and create a society that no longer relies on violence to function. Everything from our art and media to our family dynamics and our foreign policy must take part in this revolution. We must deal with the guns, but we must also deal with the tendencies of our own hearts to trust in violence. Perhaps, if we do that work, our guns can mean something besides a belief in violence. Hunting rifles used to be more common than the black steel assault weapons that signify a belief, and maybe a delight, in redemptive violence. Can a gun be something besides an extension of our anger and fear? Can we understand they are nothing like toys? Most importantly, can we look past the rhetoric of guns to what they really are, and discern what place they may rightly have in our lives, both personal and national? One of my heroes, a monastic in Philadelphia named Shane Claiborne, began a program in which a blacksmith helps the families of gun-slain children forge firearms into farm tools. There are videos of people, most of them poor black women, hammering sparks from a gold-hot gun barrel. Tears mark their faces. Social media commenters lament the loss of a firearm. Perhaps part of them flinches to witness her do the destruction in her heartbreak and righteousness. If I have a child, I will teach them to shoot on their great-grandfather’s rifle. But the real lesson, the one I’m willing to teach over decades, is that violence can only lead to more violence, that our only real defense in this world is one another, and our only real strength is compassion strong enough to forgive. Jackson Culpepper is a writer living and working in Santa Fe, New Mexico with his wife, Margaret, two dogs, and two horses. 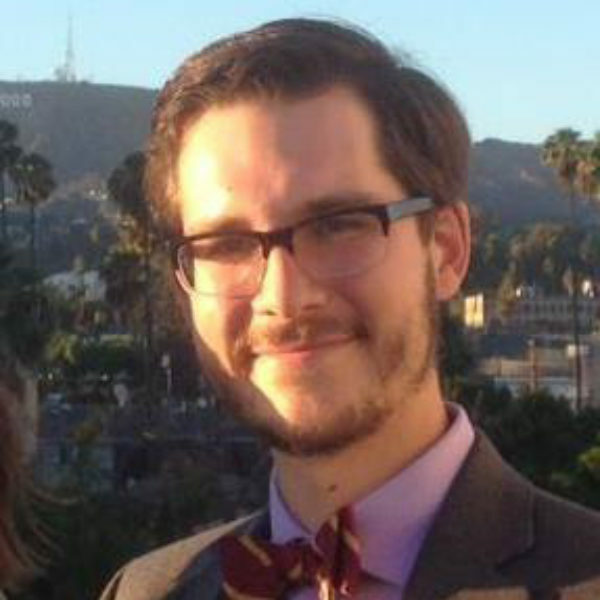 His work has been featured in Auntie Bellum, Paper Darts, and Cartridge Lit, among other literary websites and magazines. He grew up in the South, and his writing struggles with the contradictions of the region — pastoral beauty versus violence, community versus religiosity — to find ways that these universal struggles especially visible in the South and its stories. His work can be found on his website. On questioning the habit of vilifying “gun people” for a fundamental part of their lives and identities — and on the deeper understanding that might bring us closer to the solution to violence that we all seek.